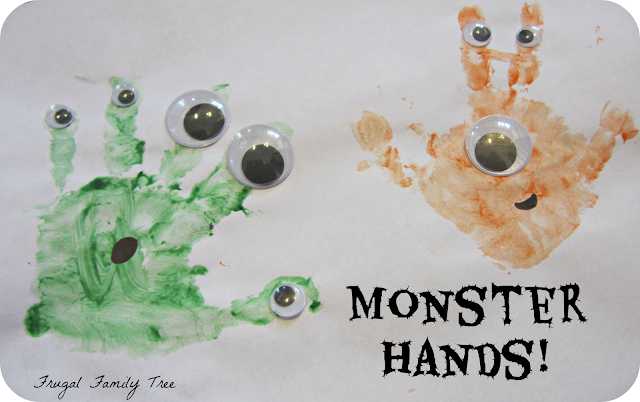 Minutes to spare MONSTER HANDS! Halloween is this week, it always seems to sneak up on us but there is still time to get in those last minute craft ideas with your little ones. 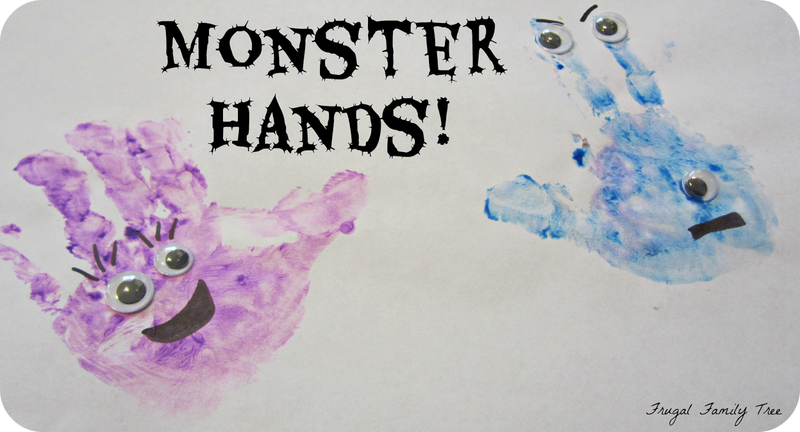 Here is a quick and easy Monster Hand Craft you can do in minutes! 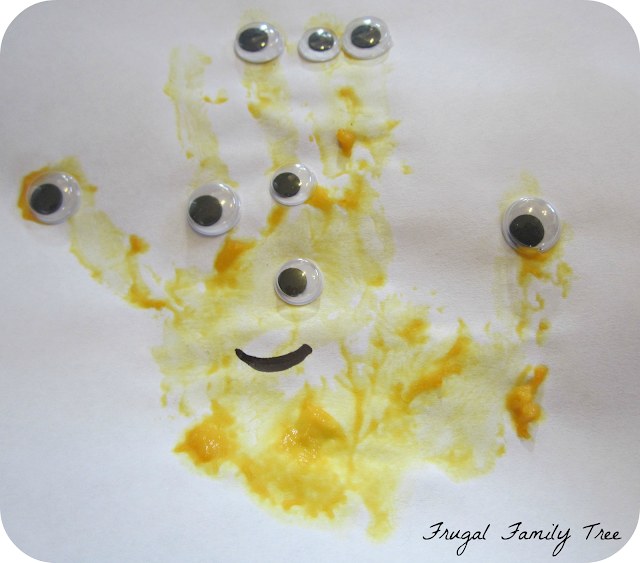 Help your little ones paint their hands or let them do it themselves. 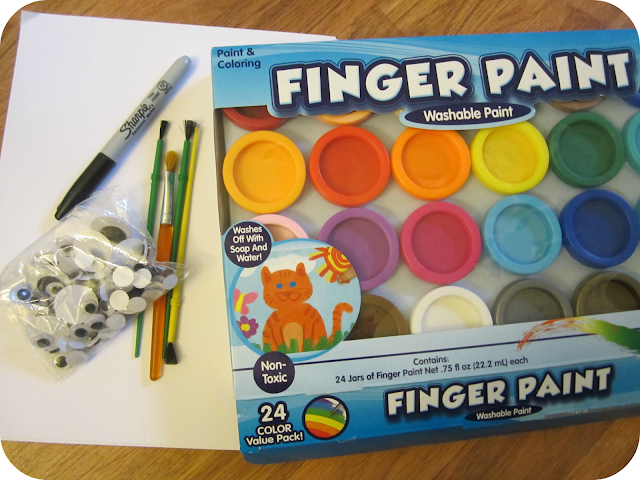 You can do all five fingers or change the face by painting only their palm, thumb and any other two fingers. The possibilities are endless! 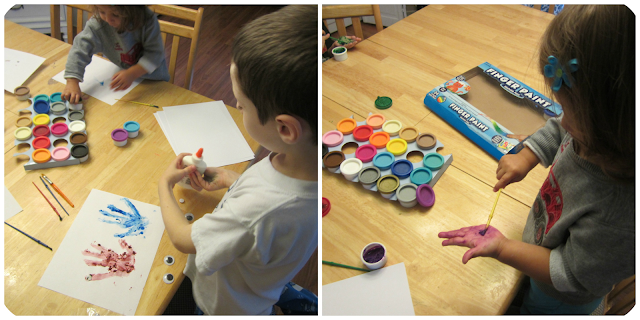 As soon as the Monster is made let them add eyes wherever they want, no glue needed (unless you are like my six year old and don't believe your mother when she tells you that the paint will make them stick). When the Monsters were dry I added a face and some eyelashes to a few of them, some scary some not so much. The fun thing about this project is there are really no rules!